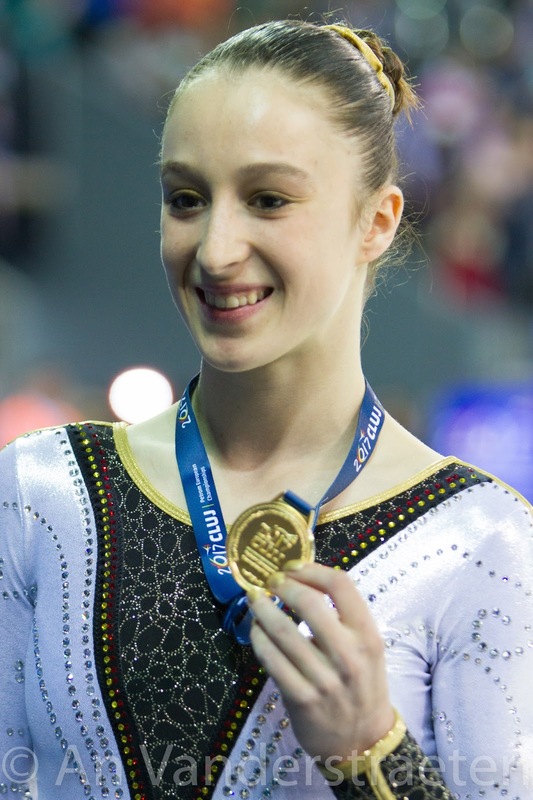 Belgian Gymnastics: 2017 European Championships: Nina Derwael is European Champion ! 2017 European Championships: Nina Derwael is European Champion ! In an exciting final, Nina Derwael came on top to win gold madeal and make history for Belgium's gymnastics! 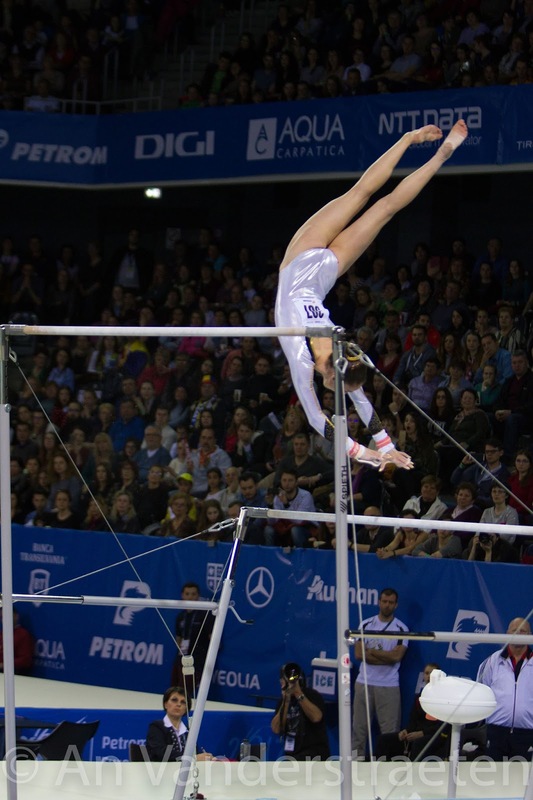 Nina Derwael was the 7th gymnast to go on the uneven bars final, right after Germany's Elisabeth Seitz, which whom she shared the 1st place after qualifications. 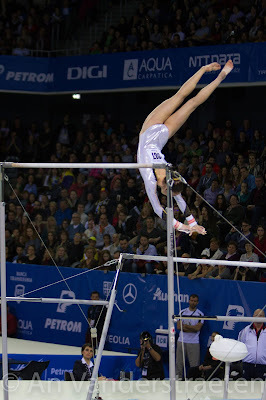 In a final that saw three gymnasts fall, Nina managed to stay calm and perform a clean routine. 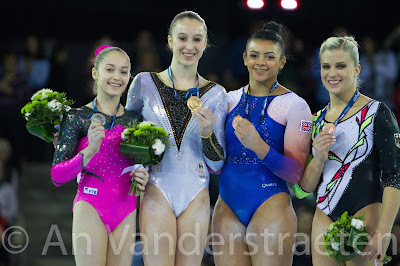 She even managed to improve her qualifying score by 0.1 by posting 14.633 and take the gold, ahead of Russia's Elena Eremina and Elisabeth Seitz (Germany) and Elissa Downie (Great Britain). This is the first time EVER that Belgium wins a gold medal at the European Championships. We have to go back to 2005 and Aagje Vanwalleghem's bronze medal on vault to find the last time a Belgian gymnast was on a podium. After her 19th place finish at the 2016 Olympic Games and her 7th place at this year's European Championships, Nina Derwael once again writes history for Belgian gymnastics.